The cruise industry has EXPLODED in recent years as more and more people are discovering the joys of a cruise vacation. 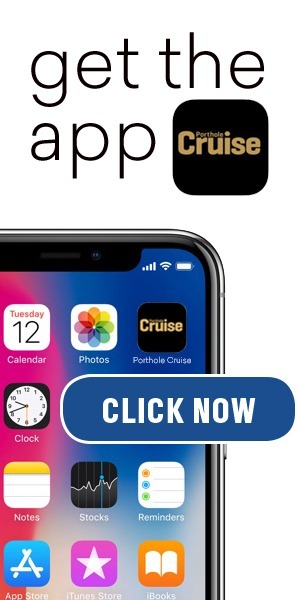 For more than 20 years, Porthole Cruise Magazine has offered the best cruise ship news, reviews and more to eager cruisers looking for a fun and affordable vacation. 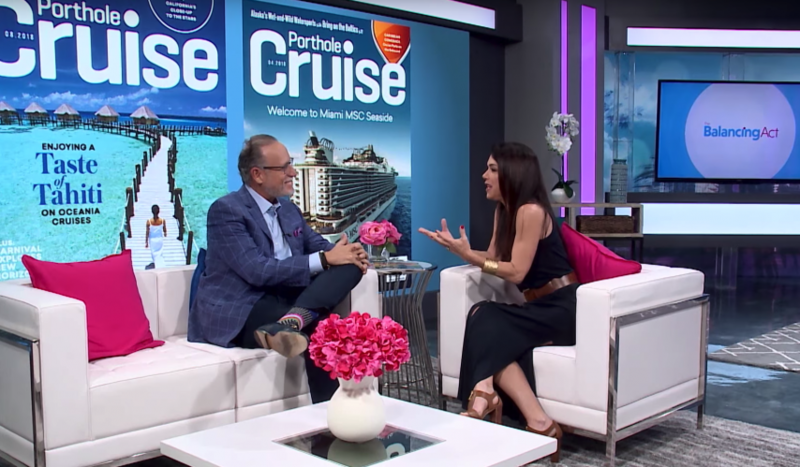 Recently, Porthole Cruise Magazine CEO Bill Panoff appeared on the Lifetime network’s morning show The Balancing Act to discuss all things cruising. Hosted by Olga Villaverde, Mr. Panoff’s interview touched on a variety of topics including the cost benefits of a cruise vacation, the convenience, the destinations and of course, all the fun to be had on some of the world’s newest and most technologically-advanced cruise ships. You can cruise on ocean ships to ports along the coast or head inland for river cruises through beautiful and historic places across Europe, South America, and Asia. There isn’t a more qualified person to talk about the joys of cruising than Mr. Panoff, who jokes early on in the interview that he’s finally off a ship! What began as a career as an entertainer on board cruise ships through the 70’s and 80’s turned into life as one of the world’s foremost cruise experts. After launching the magazine more than two decades ago, Mr. Panoff continued to travel the world via cruise ship, covering some of the most popular and obscure ships, ports, and itineraries. Have you considered cruising as a vacation for you and your family? 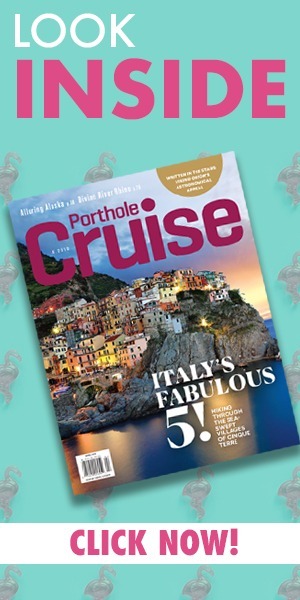 Grab a copy of Porthole Cruise Magazine at your local newsstand or have it delivered right to your doorstep and learn all about one of the fastest growing industries worldwide. From the mega ships with movie theaters, water parks, and rock climbing walls to intimate adventure ships heading to exotic locales like Antarctica, the Galapagos and even the North Pole, there’s truly a vacation for everyone when it comes to cruising.